One player stands in front of each goal as pass receiver. 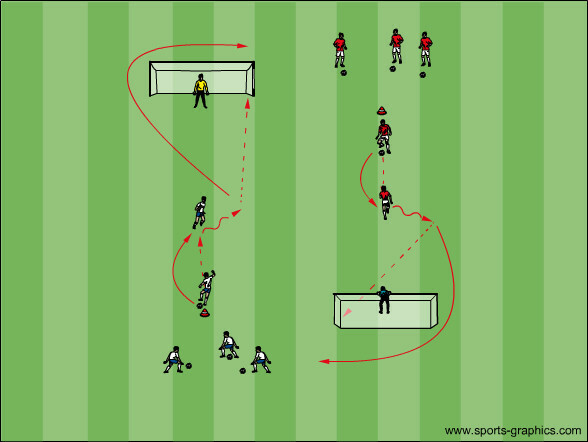 Receiver controls a pass on the ground, then shoots on goal. Passer becomes next receiver. Same as above, except the pass is in the air. Players pair off for 1 v. 1 play. 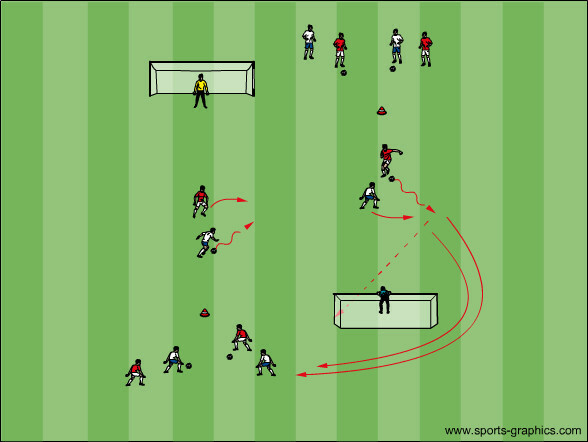 1 v. 1 until attacker shoots, then players switch roles and positions. Defenders can counterattack on the starting line.